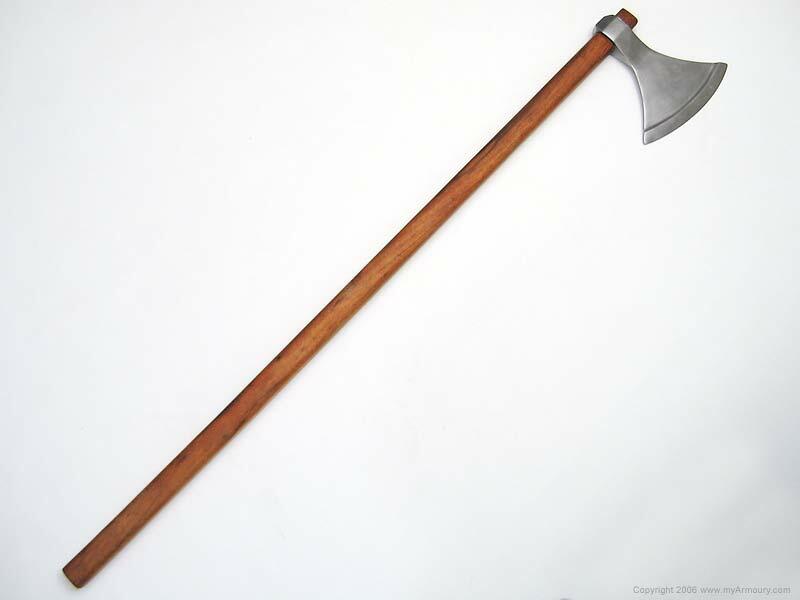 The war axe of the Viking era was a fearsome weapon. 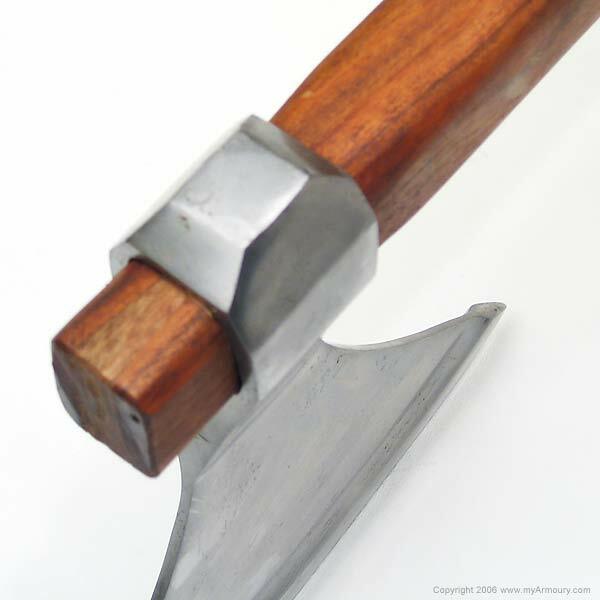 The typical fighting axe was light and thin-bladeda quick weapon, with none of the ponderous heft of a wood-axe. 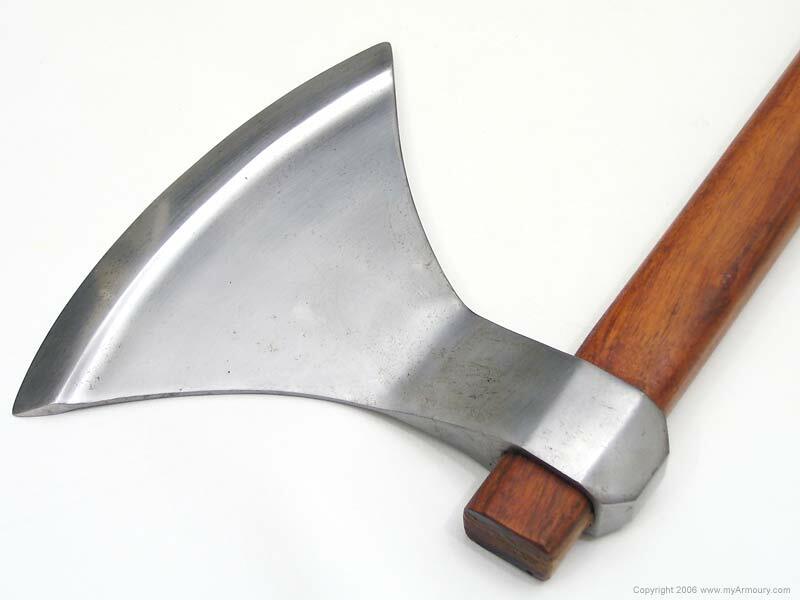 Large two-handed versions, often referred to simply as "Danish" axes, could be used to devastating effect in breaking a shield wall or cleaving an enemy. Often these axes had a high-carbon steely edge welded onto a softer iron body, enabling the weapon to have a tough striking edge with a resilient base. 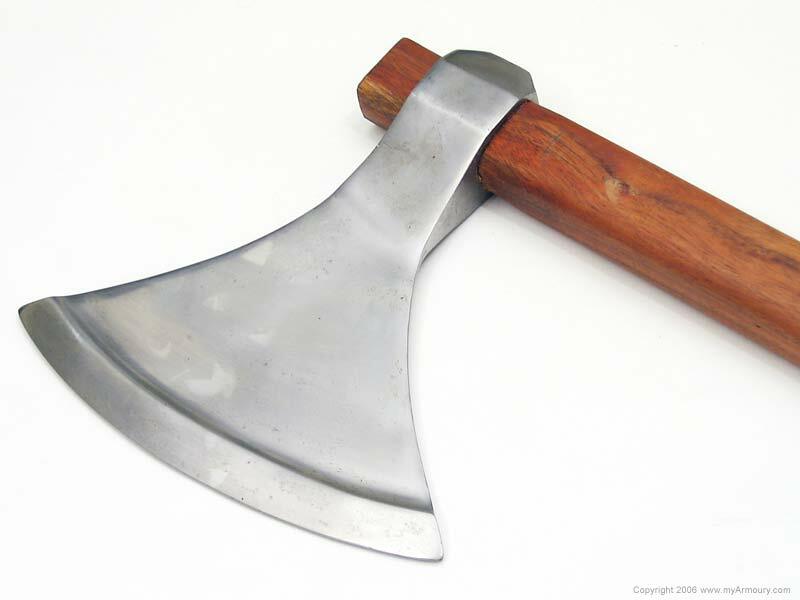 This reproduction by Museum Replicas Limited echoes the basic form of the Danish axe. Its crescentic blade corresponds to a Petersen Type M, and the thickened edge reproduces the look of the welded composite originals. This reproduction is cast in tool steel in India and hafted with native Indian hardwood. The axe is made with a very tough spring steel and ash haft. Despite fantasy appearances, this is a very well-made and functional axe. Length from edge to poll: 7.75"
Maker: Museum Replicas Limited of Atlanta.